"En me renversant on a abattu à Saint-Domingue que le tronc de l'arbre de la liberté des Noirs, il repoussera par les racines car elles sont profondes et nombreuses." TRANSLATION: In overthrowing me you have cut down in Saint Domingue only the trunk of the tree of liberty; it will spring up again from the roots, for they are many and they are deep. Spring up again... It did... The success of the Haitian Revolution shook the institution of slavery throughout the New World and today, for better or worse, we Haitians are still proud citizens of The Republic of Haiti. 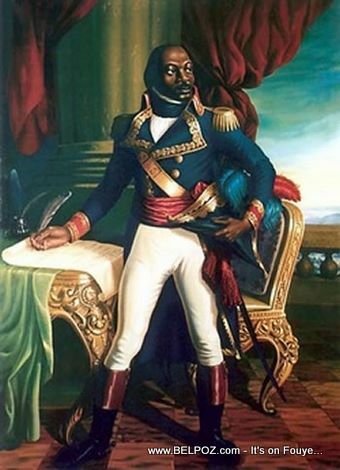 As you remember the death of Toussaint Louverture today, what message would you like to share with the current leaders of Haiti? « Car Accidents - Auto Insurance in Haiti, is it true what they say?